As we push off the gate to head to the runway, a sound like a grinding flat tire feels somewhat unsettling. Actually, it turns out to be a bad engine. Our captain tells us he notified headquarters in Montreal, to dispatch a repair team here at San Francisco airport. We wait as tests are being performed, then getting clearance... and a 1-hour delay. The rubbed-off edges of the gray fold-out tray in front of me reveal its original burgundy-color plastic underneath. Maybe a first-generation Airbus from the '70s? But then, how come we have LCD screens whizzing out above us? Examining the wing outside my window, the grimy fuselage is contoured with some mysterious red adhesive tape. A layer of oil and dusty filth covers parts of the wing, lending it a strange '70s post-battle Star Wars feel, not exactly reassuring. A closer look discovers miscellaneous touching-up, with paint clumsily dappled right on top of the oily grime ("Not My Job" Award 2002?)... discomforting. We take off. As the wing's rudder panels push out, I'm aghast as they reveal a crooked, curly, stained brass-color metal patch, crudely welded on for no obvious purpose. Your faithful Typebox representative has not found any time to sleep during the previous night, due to ongoing edits on his presentation, and last-minute backup of crucial files. A capful of catch-up sleep would be well-deserved, but the recession-sized meal leaves me hungry and awake. And apparently, my fellow passengers have a hang for passing on the frustrations they have with their children. For the next 5 hours, a small child behind me kicks my backrest in utter boredom, as her older sisters don't include her in their pastimes. Two rows behind, an infant screams his lungs out at a force and anger worthy of close-combat classification. A new form of airline terror? Arrival in Toronto ends up an hour after midnight. No hotel shuttle to be had, so I opt to afford a taxi, which is swift. No more room-service food, but the hotel provided a plate with 3 cookies, 3 strawberries, 3 chocolates and a greeting card for the mysterious TypeCon Kanji-lecturer, how nice. So tonight, dessert only. Friday -- Checking out the TypeCon preparations, meeting all the friendly and busy helping hands (while freeloading sandwiches and coffee), and delivering the Typebox posters for the TypeGallery. Great to witness all the work and effort going into gallery, goodie-bag and shopping area... honest and alive. Off to John Downer's hand-lettering workshop: Despite the after-lunch hour, John is on, focused, informative and engaging, easy to follow and fun to watch. A great teacher, ready with everything he can tell. Saturday -- I miss most presentations while making new friends, sharing meals, and busy with my own Kanji show taking shape -- the fate of the lecturer. The 'Sauna' presentation by Underware, "Reading naked in Berlin", turns out to be the most popular lecture. The evening moves on to the TypeCon Auction of coveted type collectables, great fun hosted by Dave Farey. The rest of the night is spent on completing my Kanji presentation, the second time without sleep. The "TypeGallery" is up, with plenty posters from participating independent foundries, and the traveling exhibit of Type Directors Club New York. Thanx TDC! Sunday -- In the morning, just a quick break from my preps, to watch Jan Middendorp's entertaining show about the story of his Druk magazine and the culture around it... Then I nervously finish my work until 1:30 p.m., just half-hour before showtime. My computer crunches my 162-megabyte file while i shower, shave and brush my teeth. Ready to go downstairs - and suddenly I'm on stage: checking laptop, video connection, projector screen, microphone, glass of water, mousepad -- we're on: "Crossover Culture: Japanese Type Design by Western Eyes and Hands." A few technical glitches as expected, a big laugh at the wrong screen size, all fixed quickly. A short introduction in Japanese to perk up my audience, and sure enough there's a young Japanese student laughing in surprise. Yet I continue with nervous hands and voice still trembling - the first time I dare to present this foreign subject so thoroughly. But all pictures show nicely and the lecture takes off well. Akira Kobayashi is there to provide cultural background, also during the Q&A afterwards. Fun tochat with the Japanese student, she seems impressed. As i pack my laptop after the show, Margery McAlpine starts her talk with: "Now from the sublime to the ridiculous..." Thank you Margery, that was sweet. Akira's talk on Linotype's redesign of Optima presents great improvements to look forward to, and finishes the conference punctually. The TypeCon dinner for all presenters provides a last chance to meet each other and chat, before saying farewell for this time. A rainstorm is announced for departure day -- lucky to catch a cab as the sky starts to rumble. The freeways are clogged but we make it in time. Funny to go through US customs in Toronto already, and be treated as a "domestic" flight. Air Canada flight 755 coach class, Toronto to San Francisco, a few minutes before 5 p.m... The "Best Airline Based in North America" and "Airline of the Year 2002" (elected by OAD) greets with the filthiest air condition stench of my 17 years of civil line flight experience: "The auxiliary power unit is unserviceable". A close look at the decay on the wing tells me it's not the same flying bucket as on my way to Toronto -- this here plane's condition is worse. As we're told the rainstorm slowed the dispatch, we are backlogged with 25 planes waiting before us. Luckily, another runway is opened and we take off, with one hour of delay again. Somehow we all arrive alive, and it's back to San Francisco and Typebox. And, keeping the nice memories from TypeCon 2002, and charming Toronto. Yes, that seems good enough. Many thanks to Sarah Dorkenwald, David Cheung, Sasha and Todd, all old and new friends I met, and everybody at TypeCon and SoTA. We took it away nicely, didn't we. 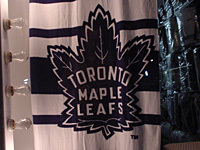 isn't the plural of "leaf"
and the folks at Webster's can't play hockey?